Shuntaro Furukawa is taking over for Tatsumi Kimishima as global president of Nintendo in June. At a news conference, Kimishima spoke more about stepping down as well as having Furukawa assuming his previous role. Kimishima said he made his decision since he “fulfilled almost fully his responsibilities” to turn around Nintendo. He also noted that it was becoming difficult for him to fly around due to his age, and the better-than-expected sales momentum of the Switch sparked the idea to bring in someone else for the president’s position. 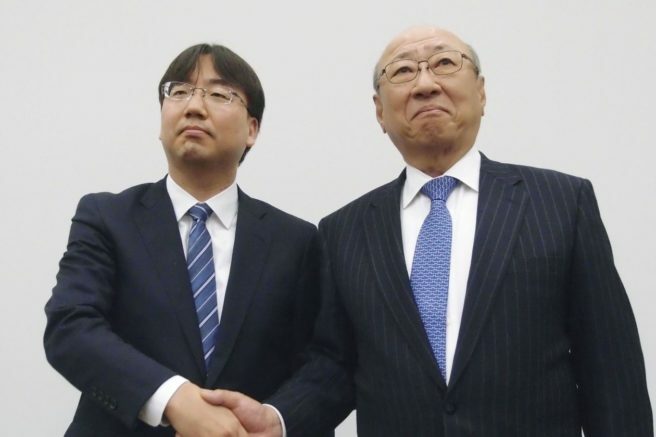 Kimishima said that Furukawa is good at building consensus among all employees rather than relying on a few “geniuses.” It also wasn’t a hasty decision, as he’s been eyeing Furukawa for years as a future CEO. Kimishima and Shigeru Miyamoto will be involved to assist Furukawama, at least initially. Kimashima would later tease to stay tuned for many unannounced titles for the Switch. Furukawa also noted that he’s looking to have Switch appeal to a wider audience and wants to turn smartphone games into a revenue pillar for Nintendo. As one random piece of trivia, Furukawa pointed to Golf Story as one of his recent favorite games.